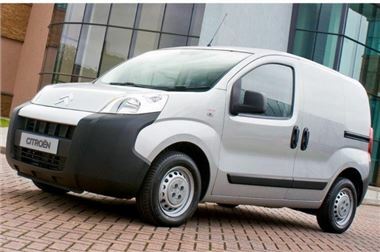 Citroën LCVs registered in the period 1st July to 30th September 2009 are now available from just £5,995 + VAT + delivery* as part of the company’s third quarter customer offers programme. *Prices include manufacturer’s cashback excluding VAT and participating dealer contribution, but exclude VAT, delivery, number plates, Government First Registration Fee and Road Fund Licence. Available at participating dealers only. In addition, thanks to the award-winning Ready to Run programme, Citroën also offers Relays in temperature-controlled, glass-carrying, minibus and car transporter formats.